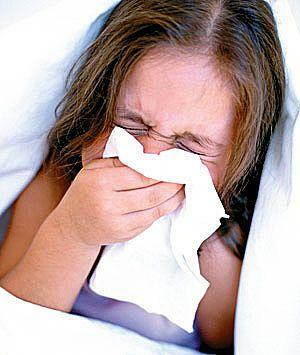 Shane Shirley : 3 No Fuss Natural Ways to Fight Your Kid's Cold That Work...Oh and They Work for You Too! 3 No Fuss Natural Ways to Fight Your Kid's Cold That Work...Oh and They Work for You Too! Watching your little one suffer from a cold can be heartbreaking. Here are 3 natural and easy ways to fight your child's cold that work. There is nothing worse than watching your little one suffer from a nasty cold. And I don't know about you but I really hate giving my kids medicine laced with artificial flavors and dyes that may or may not help. In fact, in 2006, the American College of Chest Physicians found that "literature regarding over-the-counter cough medications does not support the efficacy of such products in the pediatric age group." But don't despair! I have found 3 no fuss, natural ways to fight my little one's colds that really work. Oh and by the way, I use these natural remedies on myself and my hubby and we get great results too. Try a Spoonful of Organic Honey to Calm Your Child's Cold - A 2007 study showed that the old wives tale that "honey calms a cough and helps a little one sleep" is actually true. The folk remedy did better than cough medicine or no treatment in a three-way comparison. "Many families are going to relate to these findings and say that grandma was right," said lead author Dr. Ian Paul of Pennsylvania State University's College of Medicine. Honey is also known to have antioxidant and antimicrobial properties. As a side note, please remember that this remedy is not to be used on kids under the age of one. Because of a risk of botulism, The American Academy of Pediatrics advises that, "Infants younger than 12 months should avoid all sources of honey." Use Coldcalm Homeopathic Remedy from Boiron at the First Sign of a Cold - I have written before about how much I love Boiron's Oscillococcinum Natural Flu Relief homeopathic remedy. My friend Jyll told me about how great it worked for her family and I am really thankful because it has worked great for us too. Recently I found Coldcalm from Boiron and it works like a charm to stop a cold in its tracks. Take it at the very first sign of a cold.For kids and adults over 3, use Coldcalm dissolving and tasteless (although the 6 year old says they taste like cardboard they do not taste bad) tabs or, for kids over 3 you can buy children's Coldcalm pellets. Sounds weird but they taste pretty good. Be sure to Like the Boiron fanpage for special offers and contests. Use Breathe Right Kids Strips - I always used to laugh at the Breathe Right ads on TV but I am not laughing anymore. Breathe Right Strips work for adults and children over five through improving airflow by opening up the nasal passages. The strips are drug-free and specially designed to be gentle on your child's skin, which means they're safe enough to use every night. Breathe Right Kids nasal strips are easy to apply and remove, and are very comfortable to wear. My youngest will ask me for a strip when she starts to get a bit of a stuffy nose. She loves that Breathe Right Kids strips come with stars on them and she never fusses when she uses one. She wakes up feeling well rested with it still stuck to her little nose and helping her to breathe. Breathe Right Kids are sized for kids ages 5-12. Check out the Breathe Right site for free samples and special offers on kid and adult strips. So now you know the contents of my natural cold arsenal that really works for kids and adults and I hope you find this info beneficial for your family. I will tell you that if any of my kids have a cold that lasts longer than a week or so, and certainly if they have a fever, I get them to see their pediatrician, Dr. Franz, as quick as possible. Be sure to check with your doctor too before using these or any other cold remedies for yourself or your children.